You can sit comfortably on this drum while you play and take it anywhere in the included gig bag. 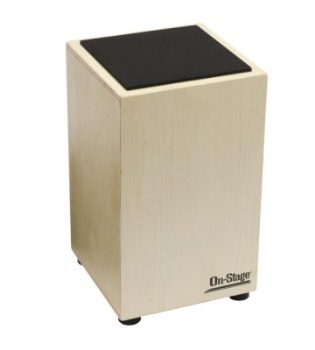 Popular in Latin and other styles of World music, the cajon can be played with hands and/or brushes. Two fixed snare systems and 4 1/2" hole produce crisp snare and deep bass tones. Comes with wrench to adjust snare wire. Birch wood with non-slip rubber feet.